Students and teachers express their grievances for the lack of sleep among teens and how it can affect a student's success. A good night of sleep can be a hard thing to come by for teens, but it can leave an effect on a student’s intellectual, physical, mental and social health. Teens are recommended to get 8-10 hours of sleep, but in a poll from the National Sleep Foundation, only 15 percent of students said that they get at least 8 and a half hours of sleep. Teacher Trey O’Bar sees the effects that electronics can have on sleep in his students. There are many tricks teens use to fall asleep. Some include sprinkling lavender on a pillow, using a diffuser containing essential oils and listening to music. “When I get a good night of sleep, I turn on my fan and get my phone out of my room,” Cummings said. Sleep Medicine reports that around 328,000 teen motor vehicle accidents each year are caused by drowsy driving. Electronics can affect a teen’s quality of sleep. The National Sleep Foundation says that turning all electronics off 30 minutes before bed can improve sleep. “Using electronics late at night can take you down a rabbit hole,” O’Bar said. Sleep can positively or negatively affect the academic careers of teens. 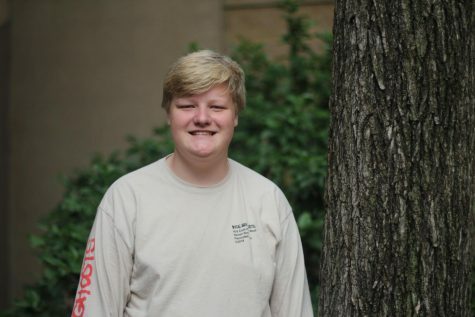 Junior Nick Sheehan thinks not getting enough sleep can cause teens to struggle in school. “When I’m tired, I can’t pay attention or get my work done in class,” Sheehan said. A good amount of sleep plays a major role in the social and mental health of teens. Better Health Channel says sleep deprivation can possibly lead to anxiety, depression and low self-esteem. “I’m more active in conversation when I get more sleep,” Cummings said. The National Sleep Foundation says a lack of sleep can hurt teens’ ability to learn, concentrate or problem solve. “Sleep is crucial for teens because high school is the most important time to learn,” O’Bar said.